When you're in Portland visiting friends and family or celebrating a special event, a decadent brunch is often on the agenda. 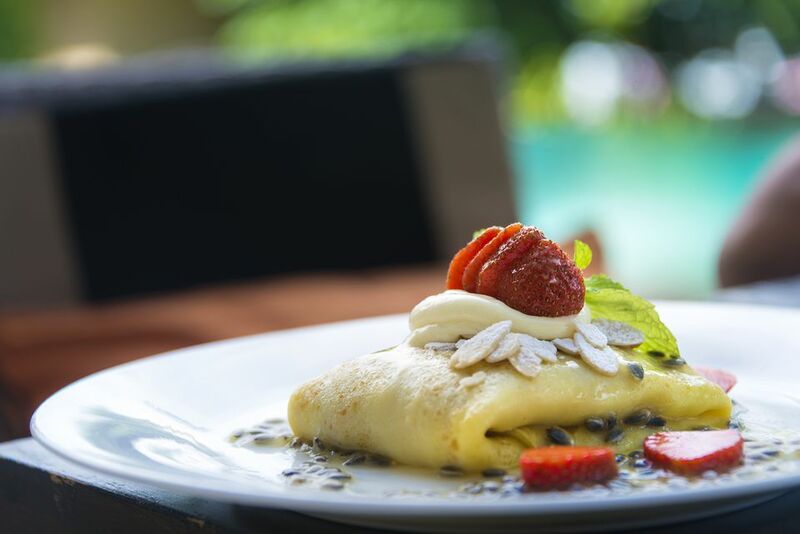 These brunches can be all-you-can-eat buffets or can have a selection of menu offerings that include a combination of breakfast and lunch dishes. Portland, which certainly has more than its fair share of awesome breakfast joints, also offers some truly fabulous brunch options. Anniversaries, Mother's Day, Father's Day, and Easter are popular brunch days, so be sure to make your reservations well in advance. Any weekend becomes a special one if you include brunch on your agenda. Here are my recommendations for where to go to enjoy that special occasion brunch in Portland, Oregon. Salty's famous Sunday brunch is something of a Northwest institution. Their all-you-can-eat spread is varied and bountiful, featuring roasted meats, the freshest of seafood and shellfish, and scrumptious pastries. You'll find a full selection of such breakfast favorites as sausage, bacon, scrambled eggs, biscuits and gravy, waffles, potatoes, quiche, and more. All this combined with gracious service and a waterfront setting and you truly have everything you need to call this brunch experience "special." Portland's Screen Door features Southern-style cuisine. Their brunch menu, served on both Saturdays and Sundays, includes dishes made using such classic ingredients as stone-ground grits, andouille sausage, and pecans. There is also a nice selection of vegetarian options as well as dishes on the sweeter side, such as bananas Foster french toast and praline bacon waffles. Beast is the brunch place for the dedicated and adventurous foodie. Featuring market-fresh ingredients, group tables, and prix-fixe seating with optional wine or beer pairings, Beast's brunch courses change every week. Where Are the Best Places for a Brunch in Portland, Oregon?